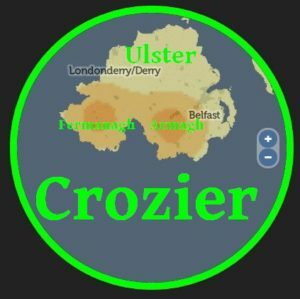 Somerville lands of Tully, Monea, and Tullykelter Castle lands. 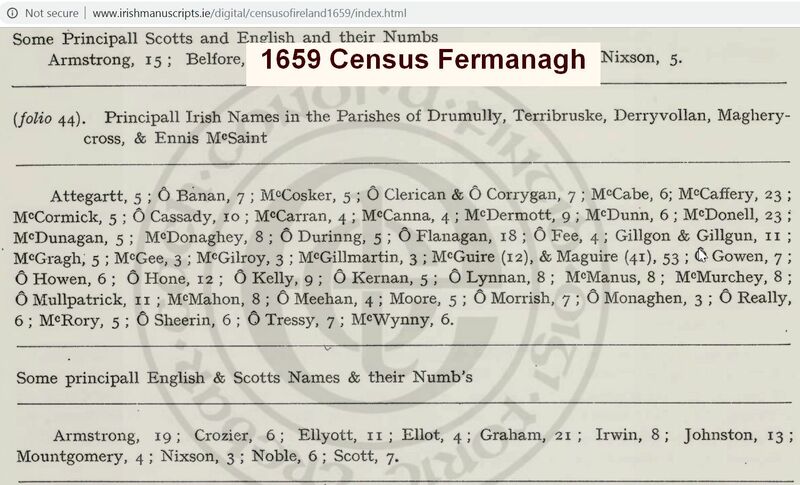 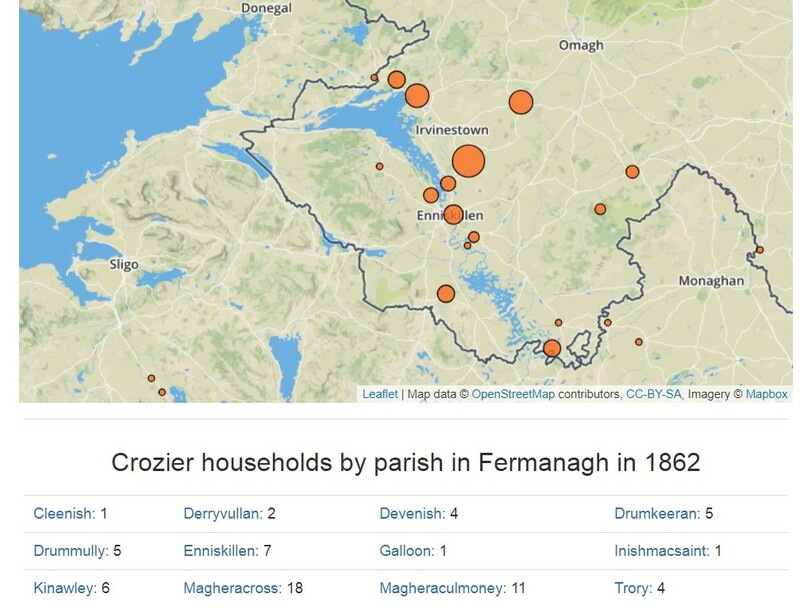 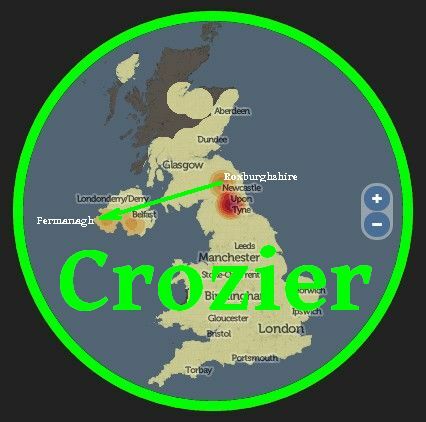 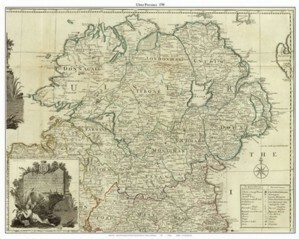 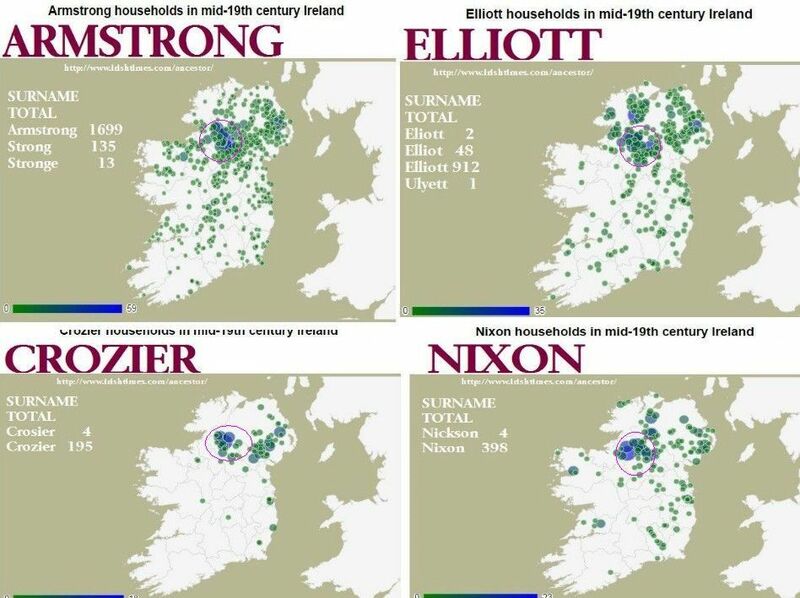 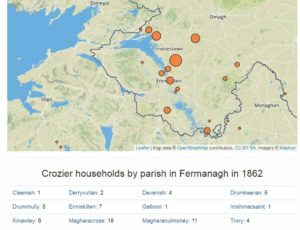 In 1659, Crozier were listed in the Census of Fermanagh/Armagh, Ulster. 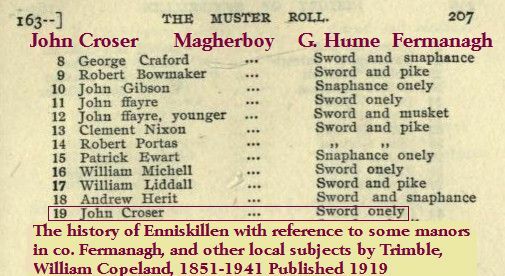 In 163- Ulster muster a John Croser is listed in Magherboy,Fermanagh, Ulster on the estate of George Hume of Tully Castle. 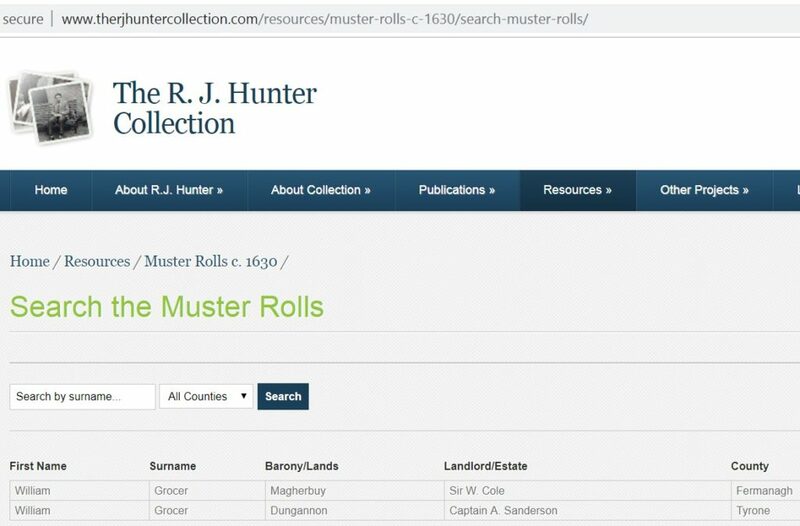 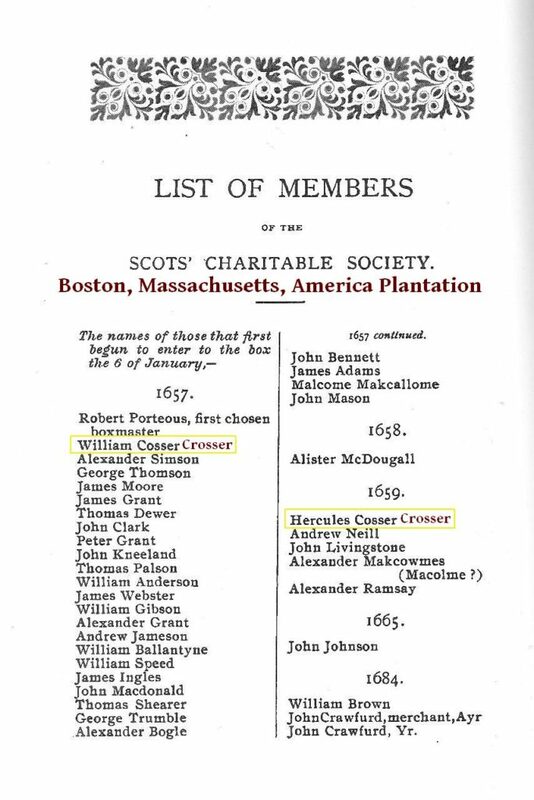 Another William Grocer (Croser) is listed in Dungannon, Tyrone on the estate of Captain A. Sanderson Tyrone Ulster muster 1630 .